Violin Lessons - MUSIC LESSONS IN DENVILLE, PARSIPPANY, MOUNTAIN LAKES, BOONTON TOWNSHIP AND BOONTON. Each violin lesson consists of a 30-60 minute one on one private class with one of our highly qualified teachers. Every teacher is specifically chosen for each individual student. From week to week, our teachers will personalize a lesson specifically designed for each of their students based on their skill level, interests, and learning needs. Every student will be taught the basics of rhythm, reading music, and music theory to help them grow as a musician. 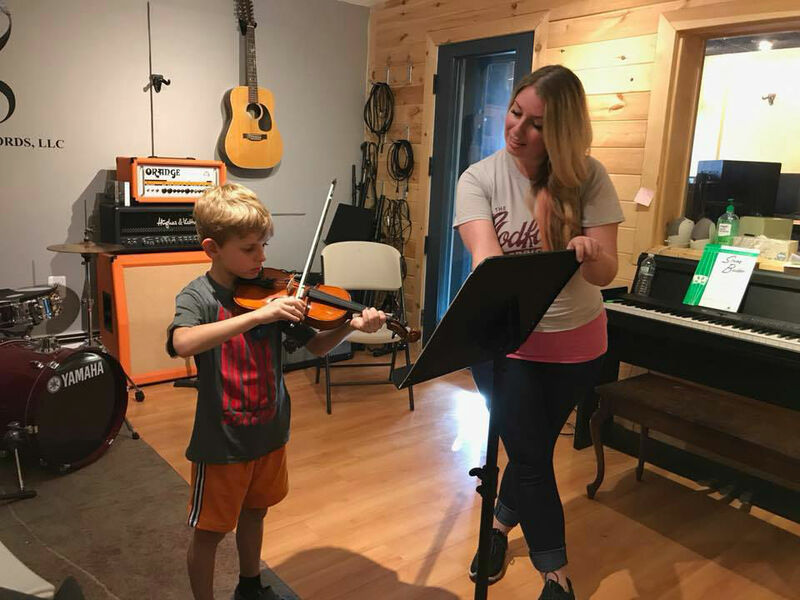 In our violin lessons specifically, our teachers focus on learning and perfecting intonation since the violin is one of the only stringed instruments without frets. Along with bow control, string accuracy, and vibrato, students learn all types of music from contemporary, folk, classical, and jazz. Why choose the Violin as an instrument? Violin is a way more versatile instrument than many would think. From being heard in classical songs, to jazz, and rock, our instructors will make sure each student finds the sound that suits them best. Learning proper technique and intonation is the backbone to a student being able to play whichever style they are interested in mastering and is worked into every lesson.